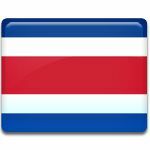 April 11 is a public holiday in Costa Rica known as Juan Santamaría Day. It commemorates the death anniversary of the country's national hero. Juan Santamaría was a Costa Rican soldier who made a decisive contribution to the victory of Costa Rican troops in the Second Battle of Rivas, giving his life for his country. Juan Santamaría was born on August 29, 1831. He joined the army as a drummer boy when American filibuster William Walker conquered Nicaragua and attempted to conquer the other Central American countries. On April 11, 1856, Costa Rican troops fought the Nicaraguan forces led by William Walker in the Second Battle of Rivas. According to the traditional account, General José María Cañas asked for a volunteer to approach the filibusters' stronghold and set it on fire. Santamaría volunteered to do this and succeeded, causing the enemy to flee. Unfortunately, he was mortally wounded by sniper fire, but his sacrifice helped Costa Ricans win. The anniversary of his death in the battle was proclaimed a public holiday. Santamaría is the only Costa Rican to have a national holiday declared in his honor. There are two statues of Juan Santamaría in Costa Rica: one in the country's capital San José and the other in Alajuela, his birthplace.